We were delighted in July 2018 to receive a donation from the Woodroffe Benton Foundation. Their contribution to our work experience and workplace training projects for young adults who wish to gain paid employment means that we are able to work with our members over an extended period of time to help them maximise their achievements and achieve their goals. 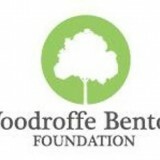 Thankyou to all the trustees at the Woodroffe Benton Foundation.